A drizzly day at Trengganu Street. 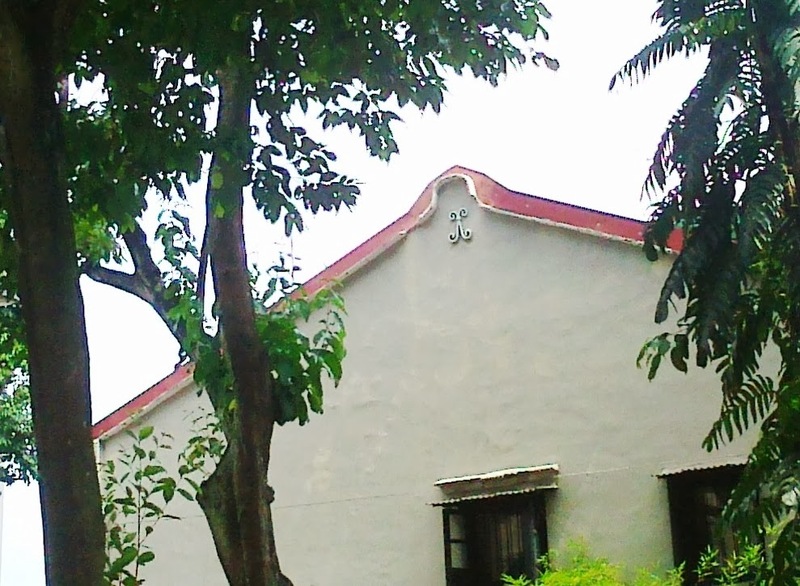 Picture taken March 2013. 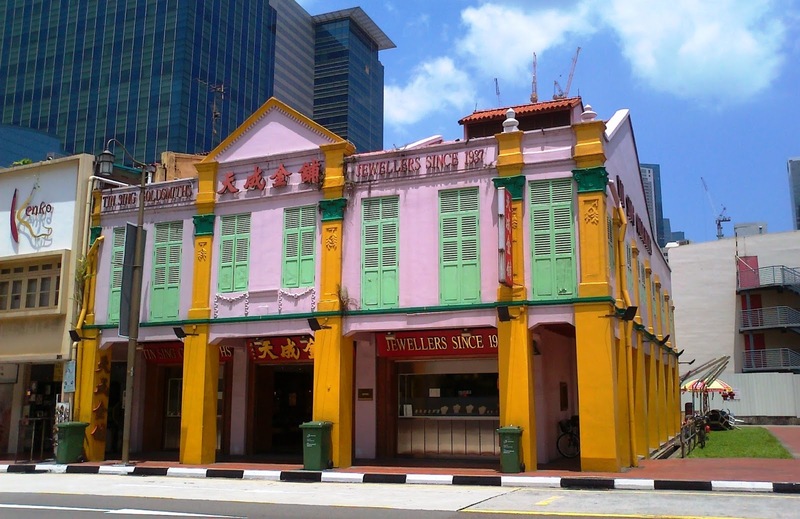 According to Rediscover Singapore website, the building you see in the picture is formerly a famous teahouse with a 834-seat Cantonese opera house called Lai Chun Yuen. 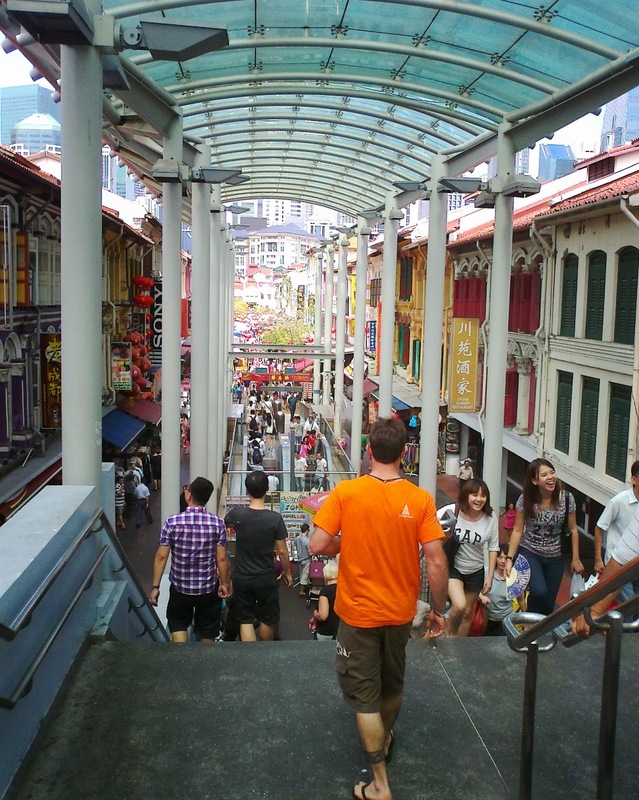 "Gateway" into heart of Chinatown. 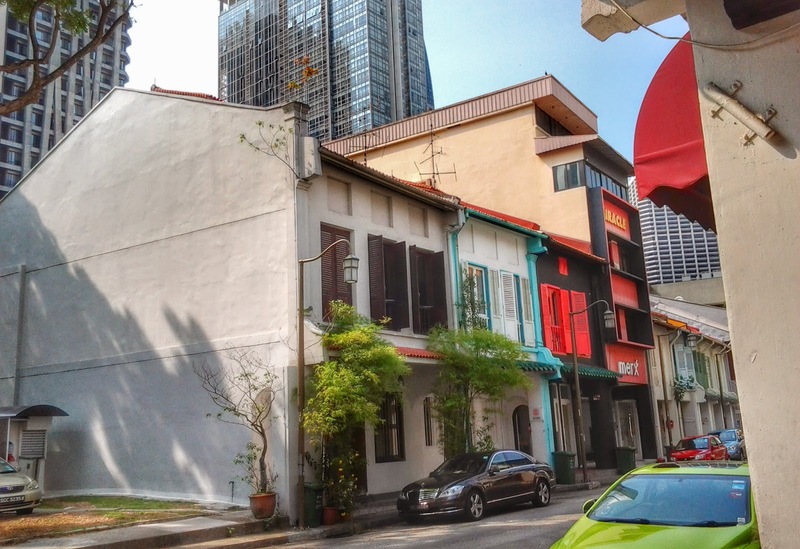 Restored shophouses flanking Pagoda Street. 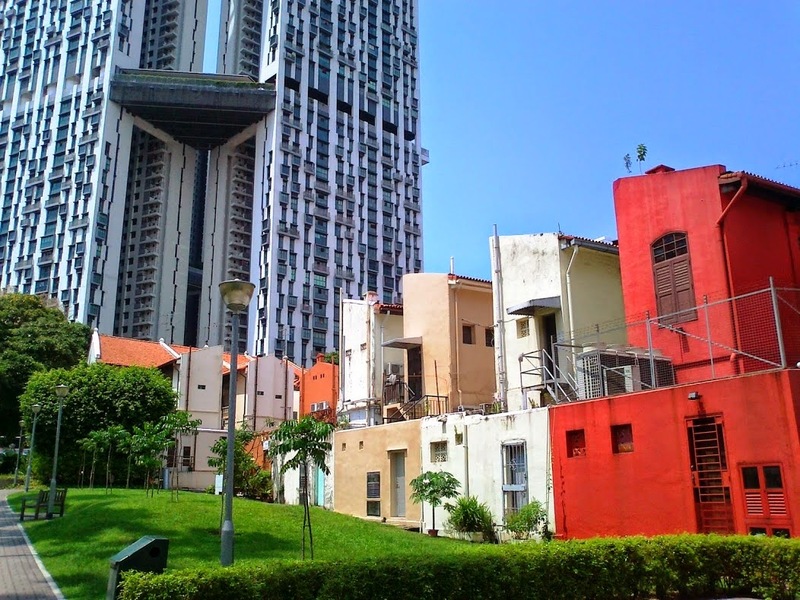 Pic taken June, 2013. 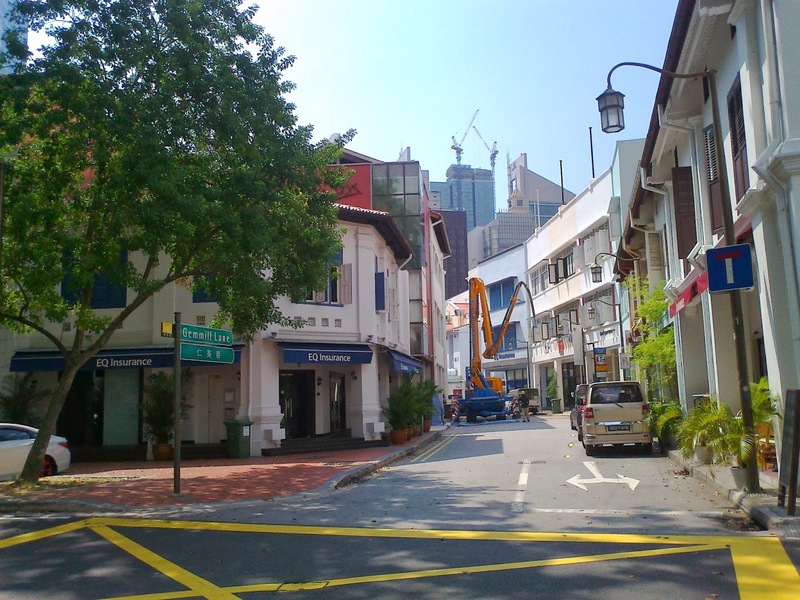 Ann Siang Road which became Ann Siang Hill when it meets South Bridge Road. 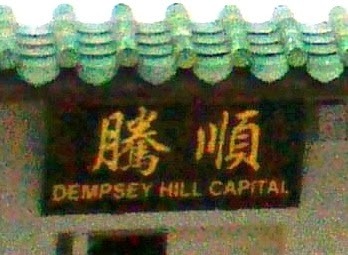 It was a real hill in the 1800s and 1900s and a Cantonese burial ground sprawled at its foot. 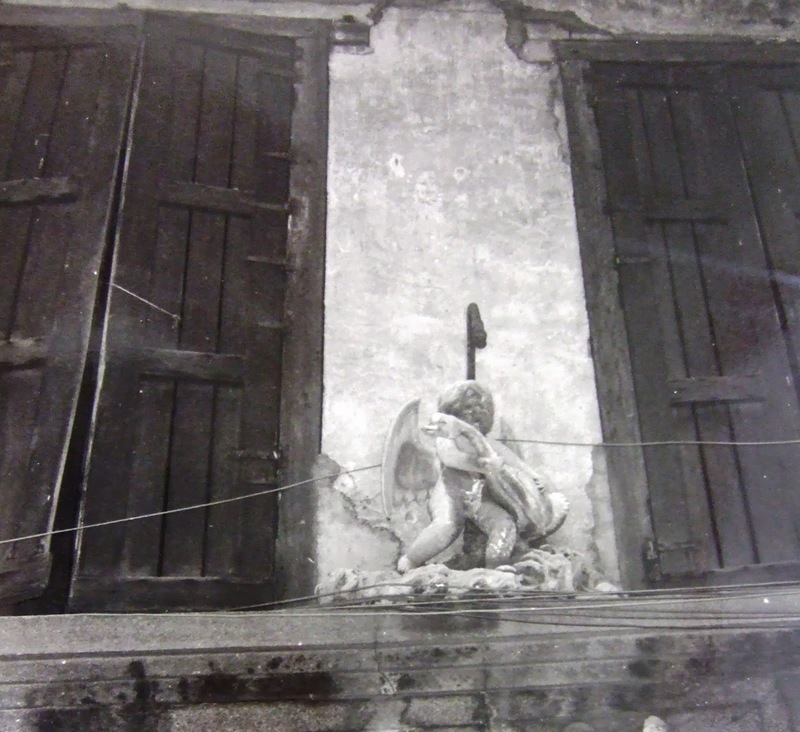 Even as late as the 70s, the slope of Ann Siang Hill was quite steep and narrow. Remember learning my driving there and the instructor would always test my "hanging-on-the-slope" skill in balancing clutch, accelerator and brakes at the slope. The test route was the area near Maxwell Road then. 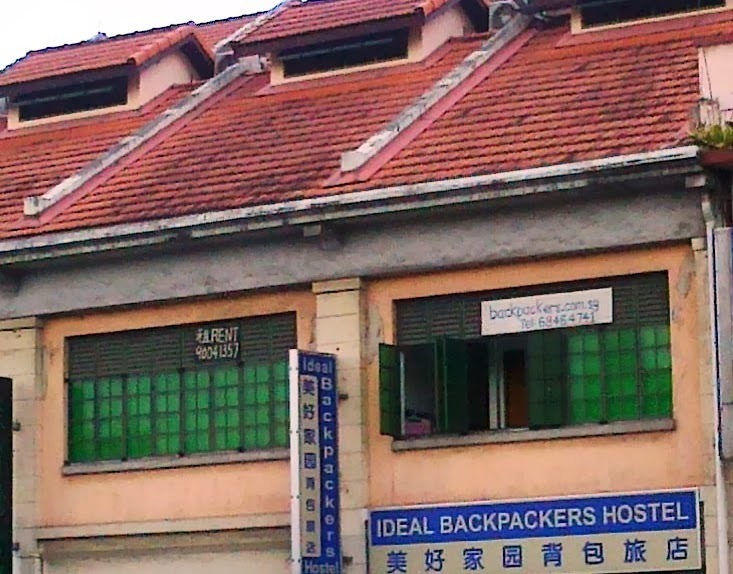 Now the road is full of "chi-chi" eateries and drinking holes. Not sure how true, but heard my friends telling me that in those days, if you were learning driving and knocked down someone there, stay inside the car or risk being beaten up by thugs around the area. 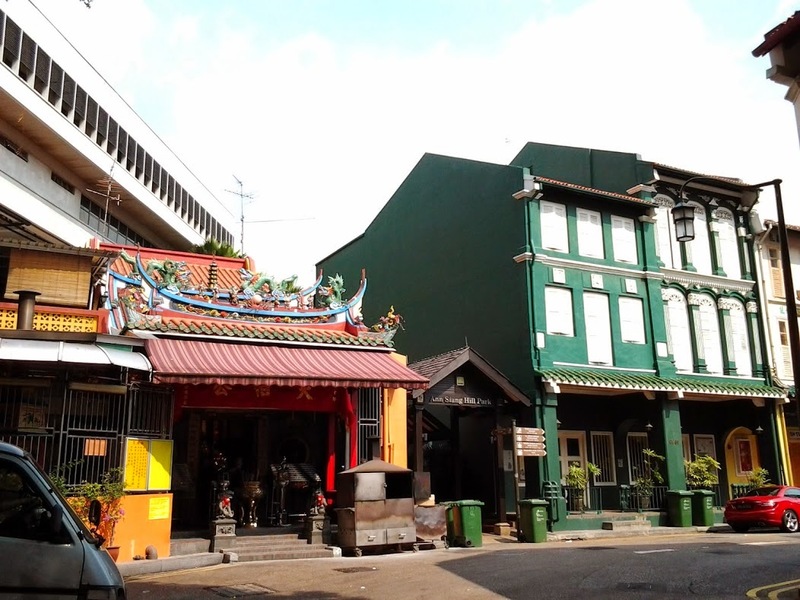 The shophouses along the road are more than 100 years old. 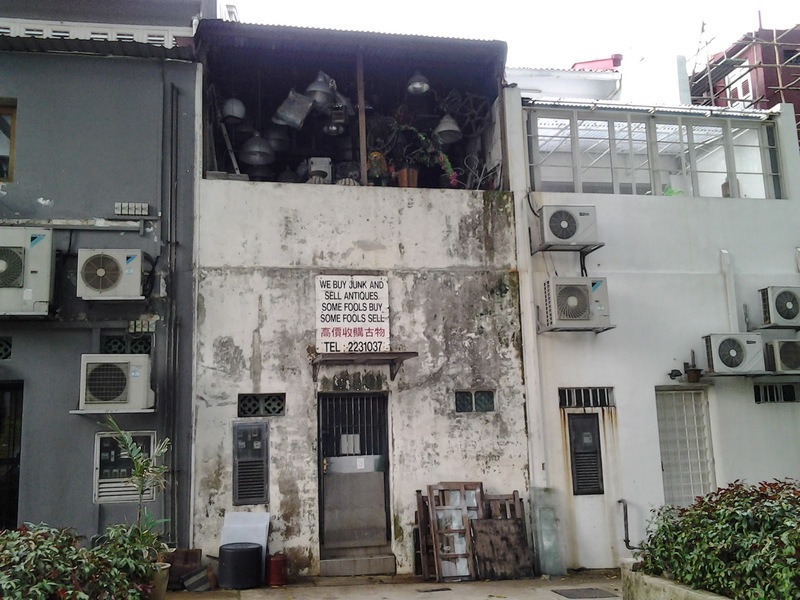 Backlane scene of shophouses at Craig Road. 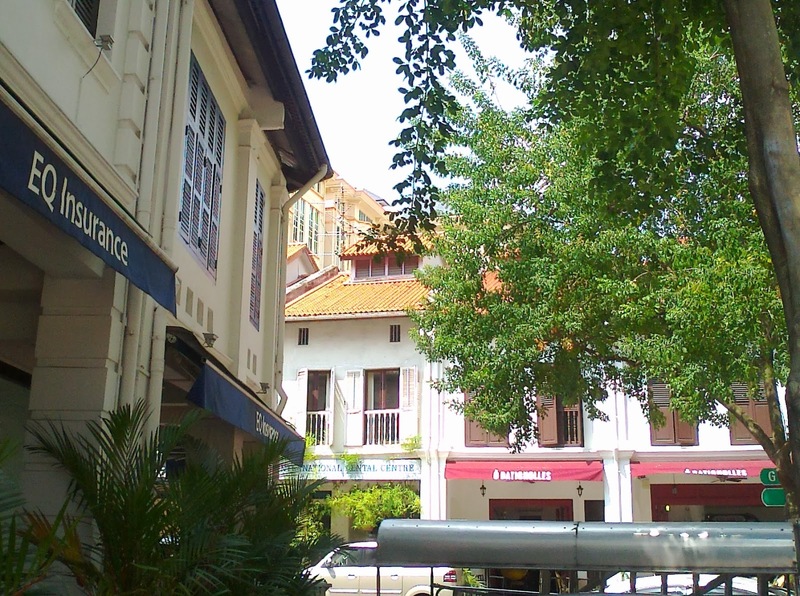 Backlane scene of shophouses at Bukit Pasoh. 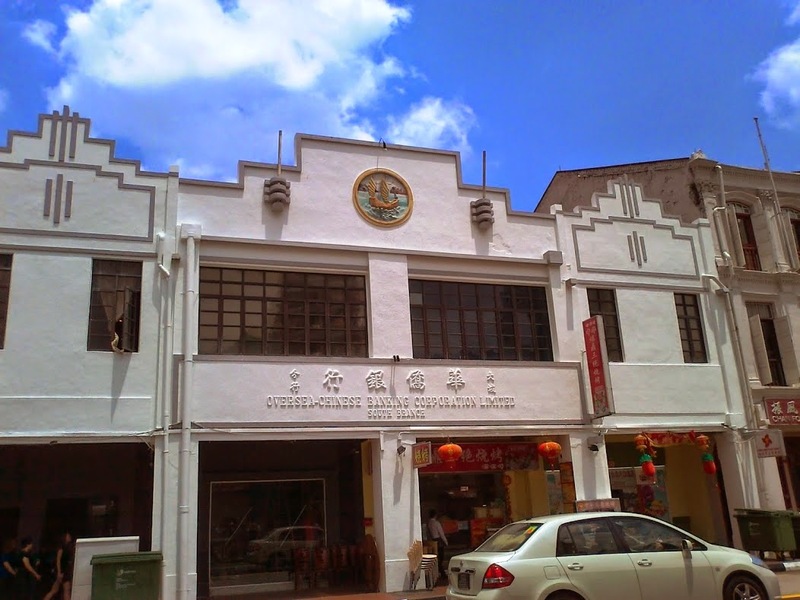 Tin Sing Goldsmith, established since 1937 at South Bridge Road. 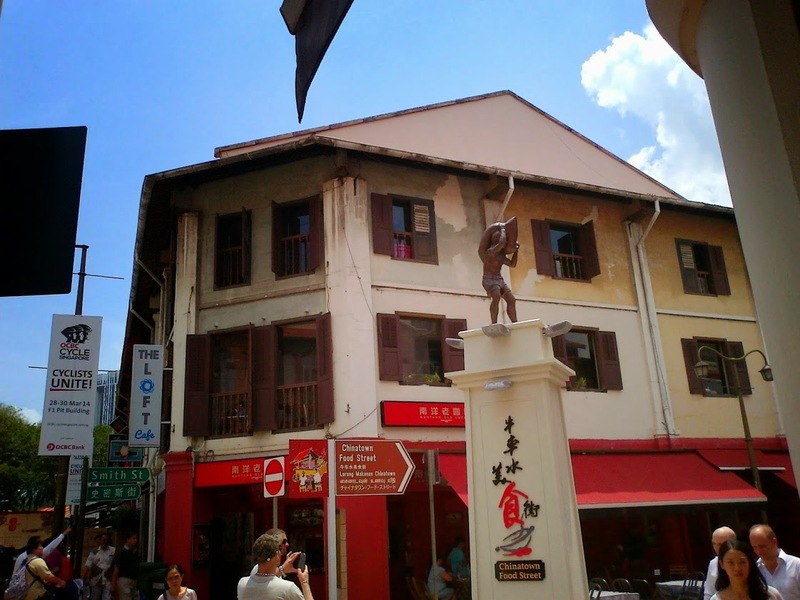 Amoy Street, where you can see beautiful conserved shophouses. 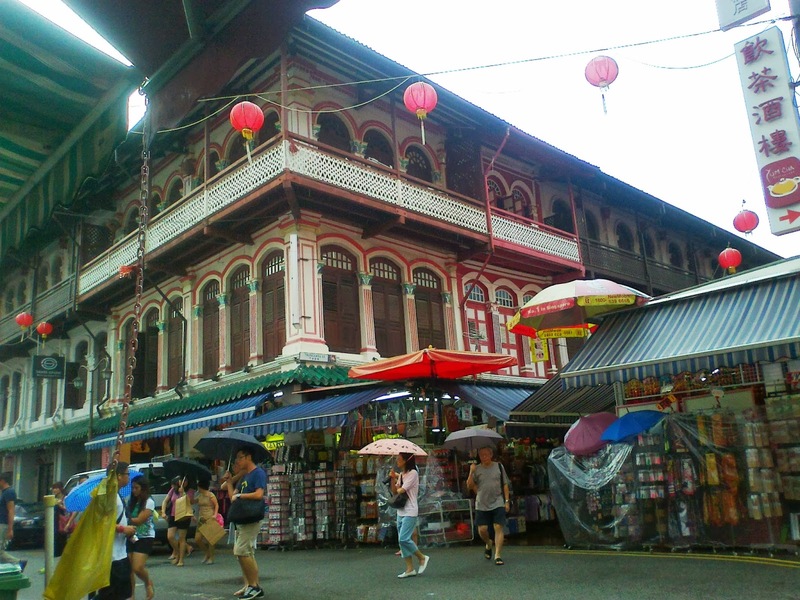 According to a report in Yahoo News (3 Aug, 2012), 6,700 shophouses in Singapore have been conserved. 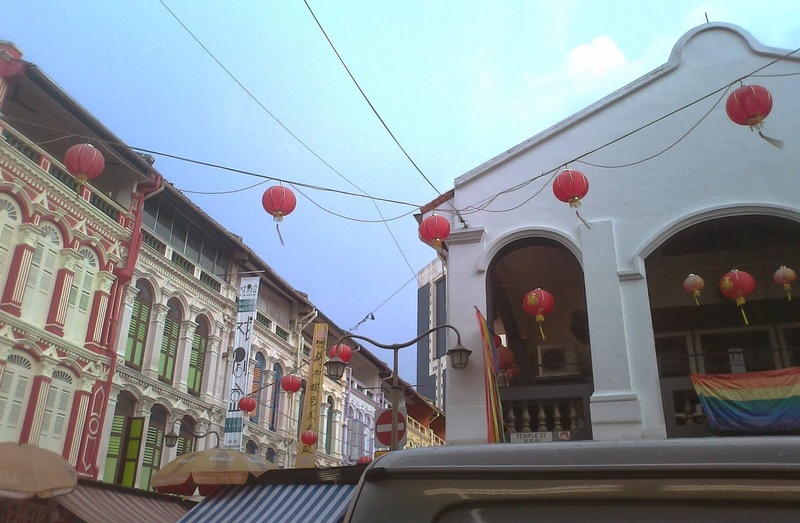 Amoy Street. 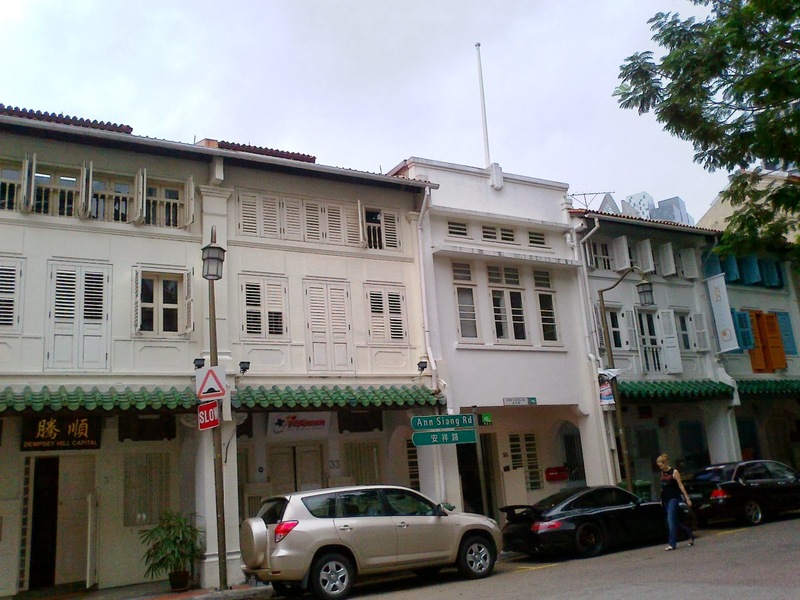 There are a number of eateries and spas in the area. 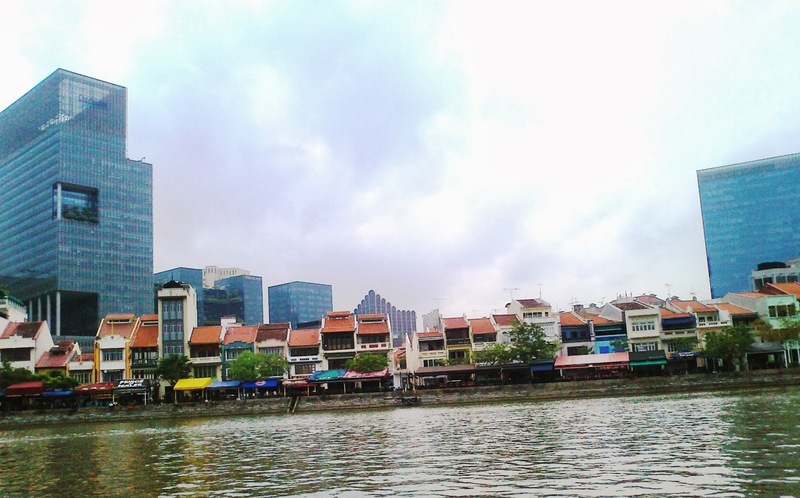 Clarke Quay, taken from river taxi. 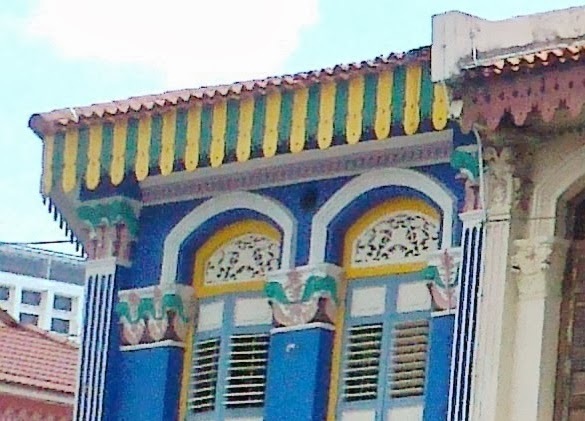 Jan 2014.